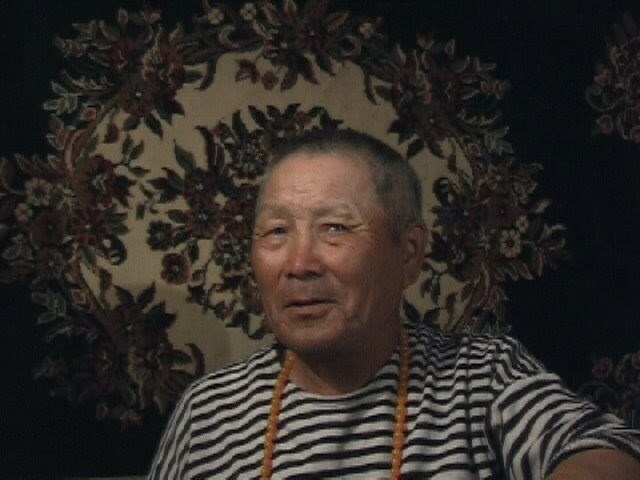 Until recently, Siberian shamans were also persecuted by the state. The shamans who taught me practiced in secret – one of them for 30 years. In one Siberian republic at the beginning of the 1930s, there were 1000 shamans, and 5000 Buddhist lamas, but after the Stalinist purges of the thirties and forties there were none left – officially. 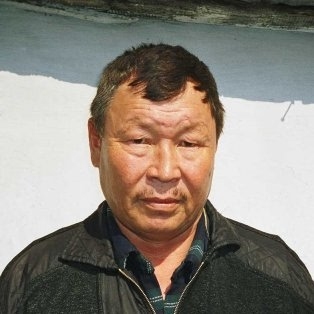 So when I travelled to Siberia for the first time in 1990, th e official line was that there were no shamans left. It had all died out. 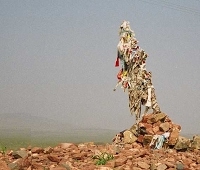 I went down to Samagaltai on the road to the border with Mongolia and met Kungaa Tash-ool Buu (pictured above and below) – a lama who had just opened a small wooden khram (temple) that day. The next time I went back to Tuva, it was winter. It was minus 25 in town – and minus 35 down by the Mongolian border. Such a change from the summer, where it’s hotter than Italy. Later that morning, I was sent to the centre to begin studying with Kara-ool Dopshun-ool – the shaman I had seen while shamanising in London. I spent each day at the centre, and in the evening I’d visit Kungaa for more intensive teaching. Shamanism is not a precise science or practice – each shaman has his or her own way of doing things. And many shamans have their own specialties – some shamans are particularly good at healing children, some have strong extra-sensory powers, some specialize in clearing out black energy. But at the heart of it all is energy and manipulating energy – in order to be able to work, shamans often choose to go into a light trance. While in trance the shaman may see things and receive instructions on what to do for the patient – the shaman may see problems to do with blocked energy. Then the shaman will work to clear the blockage or remove a cloud of negative energy. 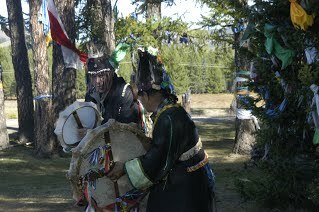 The drum is used to help the shaman prepare and is not for the patient – it is not for playing music but is a shamanic instrument. Although shamans will perform rituals, the important aspect is not the ritual itself but the intention – and moving energy. A shaman does not pretend to be able to heal everything. A woman shaman-colleague told me: “Sometimes people come to you as a last hope. It’s important to stay calm and, if you realise that you can’t help someone, simply tell them straight away. You mustn’t be upset about it.